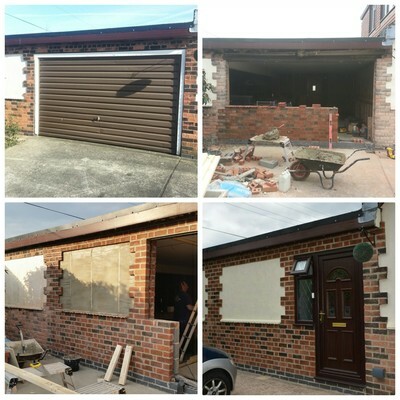 On this project Lee Hydes Building Services carried out a conversion of a large attached garage. 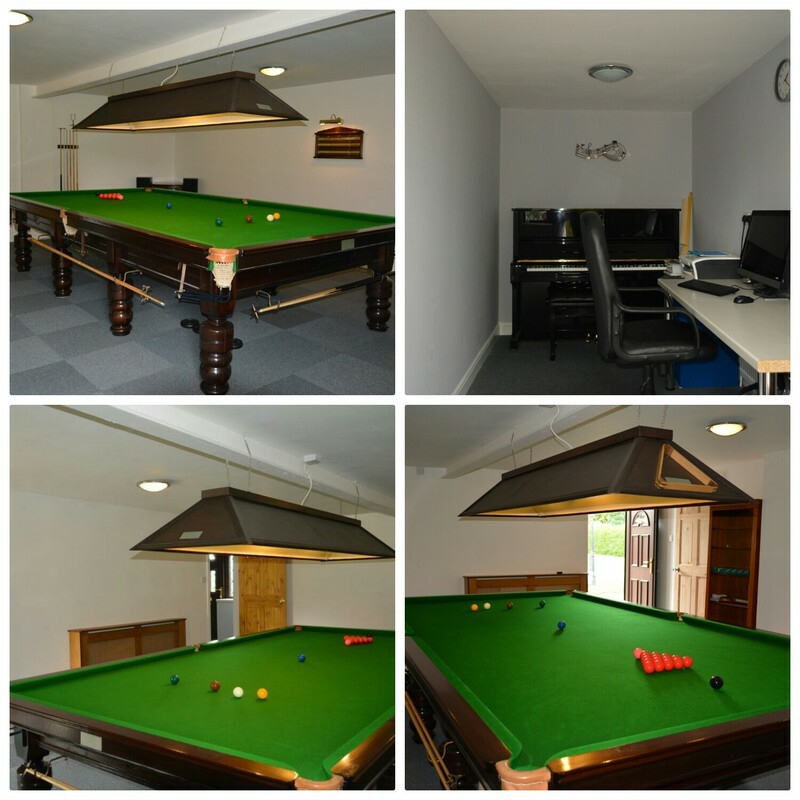 The customer requested that we divide up the large space so an office could be created and a large snooker table area be insulated in the walls and ceiling so that they can use the area in all seasons. 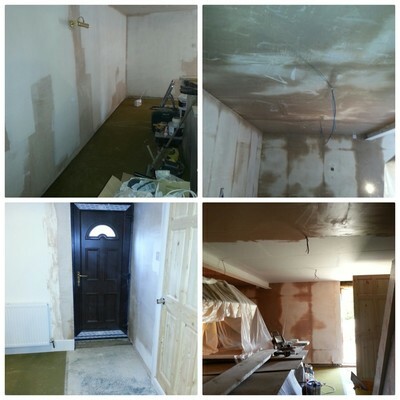 LHBS worked closely with the building inspector at all stages and satisfied all building regulations. 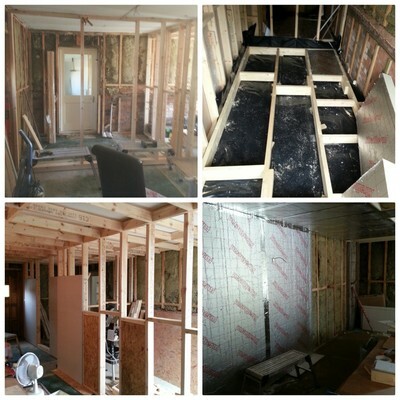 We also boarded out the loft space for additional storage and dropped the chimney and rebuilt as it was substantially leaning. 1/5 - Garage conversion to a usable family space. 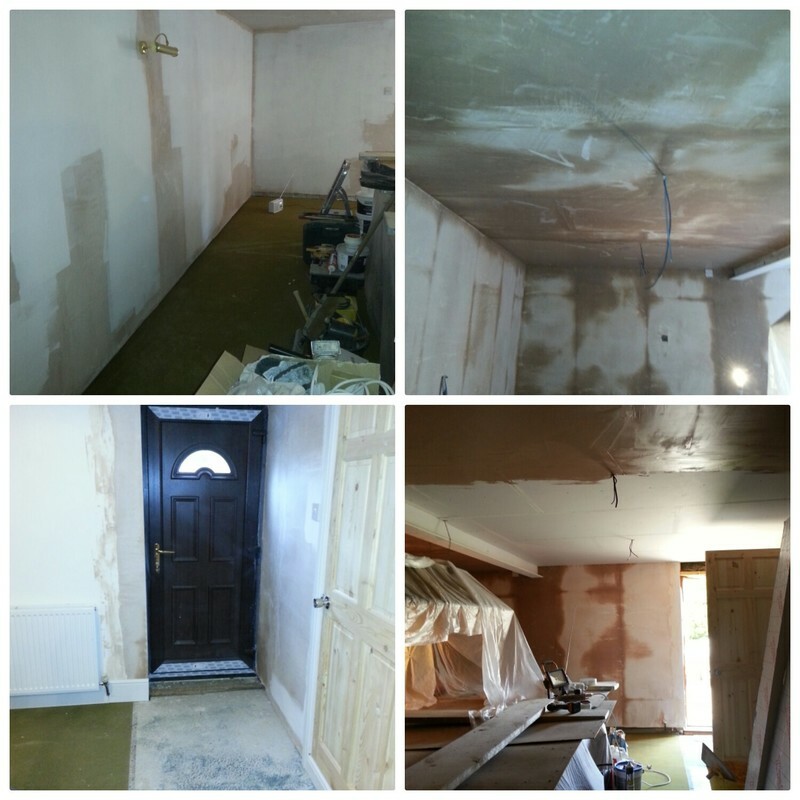 2/5 - Garage conversion to a usable family space. 3/5 - Garage conversion to a usable family space. 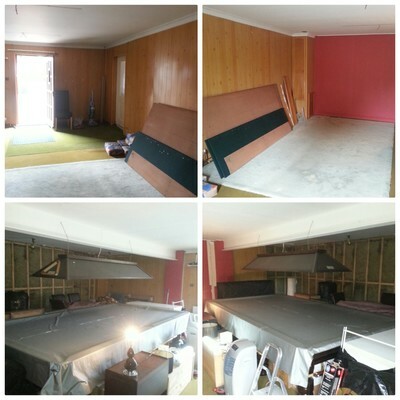 4/5 - Garage conversion to a usable family space. For this project we replaced the roof felting which was leaking and well past it's useful life and replaced it with Firestone RubberCover EDPM flat roofing system. We also replaced the guttering and edge trim. The RubberCover system comes with a Firestone 20 year guarantee and has a life expectancy of round 50 years. On this house Lee Hydes Building had previously installed a new roof, soffits, guttering, patio doors and uPVC windows. The customer was extremely pleased and instructed Lee Hydes Building Services to supply and fit a new lean-to conservatory with paving area and steps up to the grassed garden. We can supply high quality conservatories sourced from reputable Kirkby uPVC conservatories windows and doors manufacturer who use eurocell plastics. We offer various designs and colours and all materials are up to current building regulations and British Standards. We can offer value for money and fantastic prices as well as excellent workmanship and attention to detail. Through the slideshow to the right it shows how we went from a basic back of house to a fabulous useable all year round additional room, and external seating area for the summer months. On this project, we converted an existing carport into a new usable entrance. 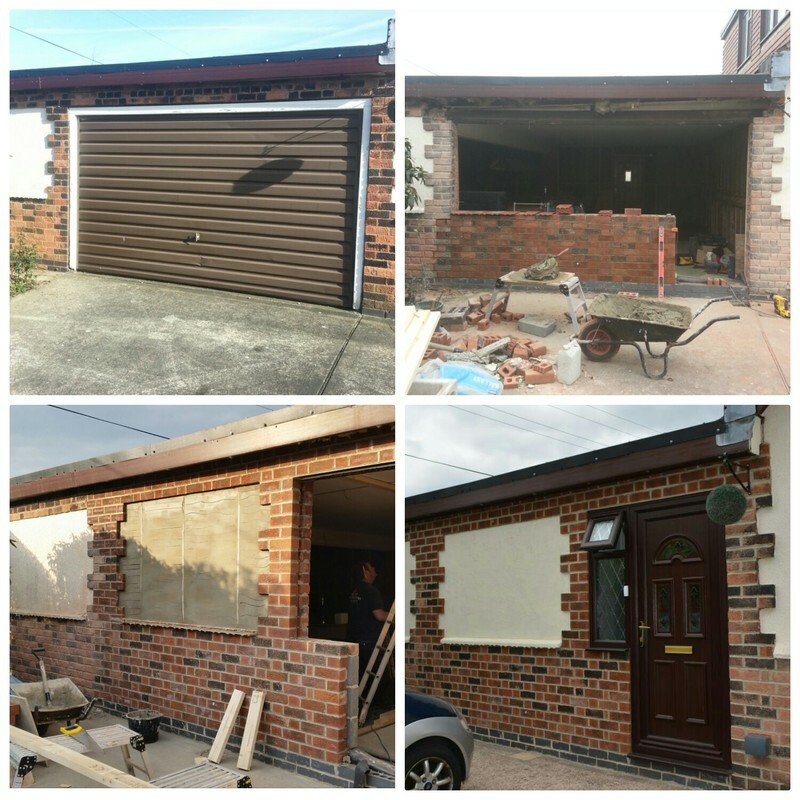 We created a new main entrance doorway with double glazing door and windows, we blocked up the existing garage door and created a single doorway; plastered the internal walls, levelled the floor, installed new skirting trims. Replacement of old cast iron guttering, downpipes, facias & soffits. Replaced with low maintenance uPVC facias, soffits and guttering.